There are an estimated 15.5 million trucks currently operating in the United States covering over 400 billion miles per year. They generate hundreds of billions of dollars in revenue and are an integral part of our economy. Despite our dependence on the trucking industry, these oversized vehicles can also pose life-threatening hazards on our highways. Trucks are a constant threat to their own operators and other motorists on highways and roads. Between their massive size, high speeds, and overburdened drivers, there is always a potential for catastrophe. The Federal Motor Carrier Safety Administration reports that in 2015, large trucks (defined as a truck with a gross vehicle weight rating greater than 10,000 pounds) contributed to 3,598 fatal crashes and 83,000 injury-causing crashes in the United States. These injuries and fatalities make up almost 21% of all trucking accidents, and they can change their victims’ lives forever. Although often times these accidents actually occur at the fault of the motorists, in the cases where the truck driver is at fault, many of these crashes can be attributed to tired, overworked drivers. More often than one would suspect, these accidents are preventable. Many crashes can be attributed to tired, overworked drivers who have slower reaction times, shorter attention spans, and impaired decision-making ability. Recently, Feldman Shepherd attorneys Alan M. Feldman, Daniel J. Mann and Edward S. Goldis secured a $9.75M recovery in favor of their client Gary Williams, who suffered the devastating effects of unsafe trucking practices and fatigued driving when he was struck by a tractor trailer. The accident left him with a traumatic brain injury as well as orthopedic injuries, resulting in disability for the rest of his life. During the trial, the Feldman Shepherd attorneys demonstrated that the tractor trailer driver did not follow the federal hours of service and safety regulations enacted to prevent such risky driving behaviors as drowsy driving. Under the law, both the driver and the company for which he worked share responsibility for these violations. This threat looms larger each year as the American Trucking Association, an industry lobbying organization, push Congress to allow longer work weeks, larger trucks, and reduced safety standards in order to cut costs and increase profits. 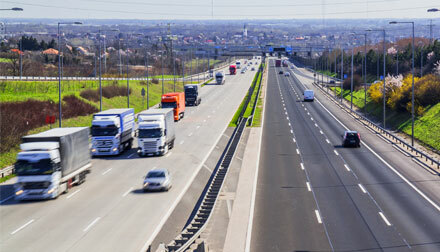 This approach is likely to create great pressure on trucking companies and drivers for greater efficiencies and even more hours on the road, which can sometimes lead to taking shortcuts from established safe driving practices. According to the Centers for Disease Control and Prevention, commercial drivers who operate large trucks are more likely to drive drowsy than all other drivers on the road. If this trend continues, more and more people will suffer irreversible tragedies arising from trucking accidents. While these facts may be frightening, there are many steps non-truck drivers can take to protect themselves from truck-related accidents and to do their part in safely sharing the road. According to Geico, the most important prevention tip is to stay out of a truck’s blind spots, or “No-Zones.” Other tips include defensive driving and when possible, avoiding any moves that might cause the truck to have to quickly brake.